It’s no surprise that increasing numbers of people are opting for a dental vacation. And quite a few of them are making a beeline for low-cost dental makeover in Costa Rica. Dental makeovers in the United States can be highly cost prohibitive. And in Costa Rica, dental treatments cost much lower than in the US. Cosmetic dentistry in Costa Rica satisfies the ever increasing demand for high-quality dental work at highly affordable prices. Popularity of Costa Rica as a medical tourism destination can be gauged from the report “Medical tourism up in Costa Rica; Expomed set for this weekend” published in Tico Times on September 27, 2011, as per which medical tourists brought in a revenue of $295 million to the country in 2010. Depending upon the procedure, dental services in Costa Rica represent a 50% to 75% savings when compared to prices for the same procedures in the United States and the cost of dental implants in Costa Rica falls well within this range! Of course, the most precise fees for your cosmetic dentist in Costa Rica for teeth makeovers can best be attained via a quote for services specific to your needs and desires. While a bargain is always enticing, when it comes to something as important as your smile and your well-being, quality is paramount! The dentists in Costa Rica and the facilities and hospitals in which they work are considered world class, and even the most expensive private services in this country come at significant savings when compared to prices in the United States! Dental anxiety, the most unfortunate consequence of painful experiences for many people, is addressed at satisfactory levels in Costa Rica’s clinics. Low-cost smile makeovers in Costa Rica are thus worry free! Of course, it never hurts to review videos for more firsthand information from dental professionals to allay any lurking concerns! Language need not be considered a barrier when you’re in dental clinics in Costa Rica as both English and Spanish are frequently spoken. You will find affordable dining and lodging in Costa Rica. Though you have the option of undergoing cheap cosmetic dentistry in Bangkok or New Delhi, opting for Costa Rica will help you save on travel time and airfare (if you happen to be from the United States or Canada). 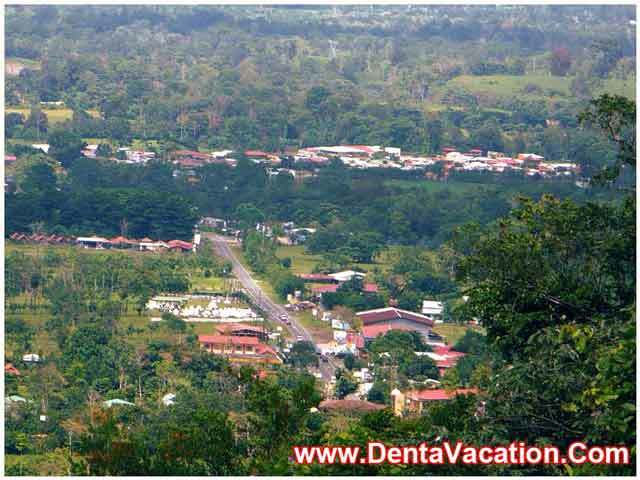 You can double up a dental trip to Costa Rica as a relaxing vacation. Costa Rica’s rain forests, enchanting beaches, volcanoes, and age old culture can be a vacation dream come true! With traditional dentistry, the focus is more on oral hygiene and treatment of dental problems. On the other hand, the goal of cosmetic dentistry is to improve the overall aesthetics of a patient’s teeth and smile. 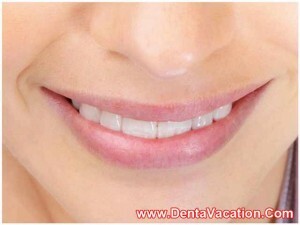 There are various cosmetic dentistry treatments available for patients opting for dental work in Costa Rica. Inlays/Onlays, composite bonding, teeth whitening, dental veneers, full mouth reconstruction, smile makeover, dental implants, and zirconium dental crowns in Costa Rica are popular with the dental vacationers. Dental implants are far better than conventional dentures, which is why they come with a high price-tag. Now, patients can avail of dental implants in Costa Rica without hurting their pockets too much. The high cost of dental treatment should never be a reason to compromise oral health. Patients can also avail of low-cost dental implants in Costa Rica to improve their smiles, thereby giving their self-confidence a boost. Follow up is integral to pleasing results with dental work in Costa Rica, and of course, this is true everywhere else in the world! After getting dental implants in Costa Rica, for example, it’s always best to have professional care in place should you have any concerns at a later time. Thus, carefully plan for this necessity for when you return home. Booming dental tourism in Costa Rica has led to sprouting up of facilities – both good as well as dubious – all over the country. Reviewing blogs and forums can help you gather information as you consider your options on availing dental services in Costa Rica. Familiarize yourself with the steps or processes typically used by dental professionals to give you the smile you want. Knowing what occurs when receiving dental implants and other forms of cosmetic dentistry in Costa Rica, and having answers for any questions you may have about these procedures, can decrease anxiety. Because Costa Rica is an extremely beautiful country on the face of the planet, including vacation expenses in your budget so you can experience this incredible country! Arenal National Park – This park is set amidst the rainforest where the Arenal Volcano is located. People come here to relax and take a dip in the Tabacon Hot Springs or watch the mini-eruptions illuminating the night sky. Other activities tourists enjoy here are rafting, hiking, and canopy tours. Tortuguero National Park – This is the habitat and breeding ground of marine turtles. This park also shelters the endangered West Indian manatee. Nosara – This is the place for surfers and beach lovers. A tranquil beach community, Nosara is under the protection of the national park system. Puerto Viejo – Medical tourists can indulge a lot of fun activities in this town off the Caribbean Coast. They can go surfing, snorkeling, or diving in the pristine waters. Or they can choose to go horseback riding and mountain biking around the town. Affordable dental treatments abroad have literally added a fantastic dimension to the whole idea of traveling! Dental makeover in Costa Rica offers uncompromising quality at prices that are but a fraction of those in “First World” countries! With exquisite dining options, lodging that is physically and economically comfortable, and the unparalleled beauty of her terrain, Costa Rica does indeed support the old saying…Yes, you can have your cake and eat it, too! You’ll also be able to smile quite fetchingly about your smile makeover in Costa Rica later!